There was a time when the role of Congresses and Parliaments was not to come up with massive programs or interfere in the lives of the people. Rather their function was to judge the merit of cases and provide simple solutions to the problems of daily life. Those were simpler times but they reflected a Christian order long lost. Thus, for example, there is the picturesque case of the peasants of a certain village who cut down dead trees for firewood every spring at a nearby forest. When a local knight guarding the forest stopped them and took their carts laden with wood, the villagers protested. From time immemorial, they objected, they had taken firewood from this forest. The knight replied that they had always taken one cart of wood not the two they were then taking. The villagers took their case to Parliament. An inquest was carried out and Parliament found that over the course of the previous forty years, the peasants had usually taken one cart and sometimes two. 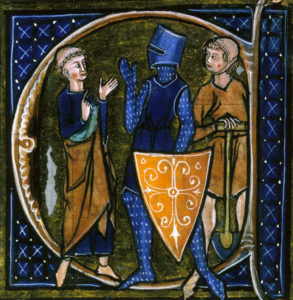 Parliament promptly declared the knight acted wrongly and ordered him to make amends. This entry was posted in Featured, Middle Ages by John Horvat II. Bookmark the permalink.